Cupid, Kidlit, and Comics. Oh, My! The leaves are changing already. Kids are going back to school. Before you know it, boom!, the winter holidays are upon us. Today's guest, Daphne Benedis-Grab, definitely has a little Christmas in her heart. She shares it with readers in her upcoming middle-grade book, The Angel Tree. Please pass the gingerbread. Christmas, of course! I’ve been nuts about Christmas since I was little. Yes, the gifts are a part of it, a lovely part, but they really aren’t the point. To me it’s the feeling of Christmas, the spirit as it were, and all the ways, big and little, we honor it. For our family it starts with the tree, picking it out, setting it up and then the ritual of decorating it with ornaments bought and made over the years, each with its own story and memory. Then there’s the music- I have a crazy big collection of Christmas carols and they bring me such joy. There are the parties, friends coming together and catching up- that is such fun. And then there are Christmas movies and TV shows, like Elf and Rudolph, that are magic each and every year. Another essential part of Christmas? The food. Which is another thing I’m passionate about so it gets its own section. Years ago friends started telling me that reading my manuscripts made them hungry. I delight in describing food I love. Usually that means sweet things- in The Angel Tree one of my favorite scenes involves fresh cinnamon doughnuts. But I have almost as much fun detailing a really rich lasagna or a fresh peach. Food is a pleasure to eat and it is a pleasure to write about. 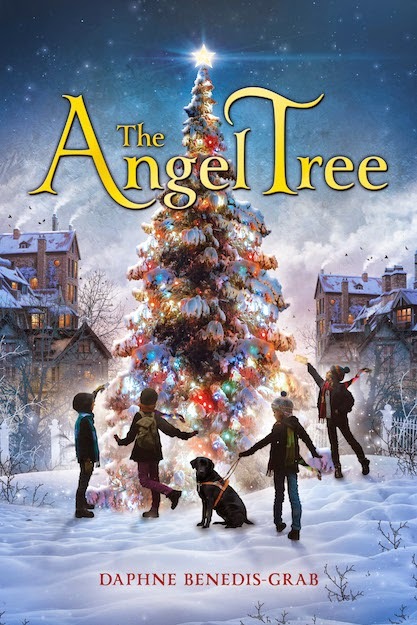 There are a lot of other things I loved writing about in The Angel Tree- quirks certain characters have that resonate for me, the dog, Valentine- I love animals and love writing about them! But bigger than that is friendship and people overcoming hardship. We all have journeys in our lives, times when we struggle and those moments where we connect deeply with others. Creating those moments for characters is incredibly satisfying; challenging but worth it when an arc holds together in a meaningful way from start to finish. So when people ask, I will keep giving them the same advice: write what you love. Yes it might be cliché but the thing about this cliché? It works! Learn more about Daphne Benedis-Grab on her website. You can purchase The Angel Tree at Indiebound and on Amazon. What if staying alive required having one special skill that was highly enough valued by society to make you worth keeping? Katrina Archer's YA novel, Untalented, explores that premise. And it doesn't take the easy way out. Katrina stopped by to discuss her challenging book. Hi Anne, thanks for inviting me to your blog today! Untalented tells the story of Saroya, a young orphan who finds herself without a Talent in a world where Talent is everything. The core premise came to me after a specific incident in my engineering career: a manager of mine told me I would need to specialize in one key area of focus, or risk devaluing my career. I balked at that: I’m a dabbler at heart, and have always had a wide range of interests that span both the sciences and the arts. I have a short attention span, and get easily bored if I’m not constantly learning new things. But I wondered: what would a society look like that only valued specialists? What if they’d taken that concept to such an extreme that they’d created a caste system around it? And what would happen to someone in that culture who simply could not specialize? That society is the Kingdom of Veyle, in which we find Saroya, the heroine of Untalented. The thing is, Saroya knows, deep down in her bones, that she’s not useless. But her society won’t let her prove that to them. She’s cast out of her home, and denied work in the rigidly controlled Guilds of Veyle. So what does she do to survive? She lies. She lies about what she is, she lies about her credentials, and ultimately, she lies to herself about the true extent of her skills. My family motto is “Sola bona quae honesta”, or roughly, “Only that which is honest is good”. It became an interesting character study for me to deal with someone who must lie to survive, but a great source of conflict, because Saroya’s falsehoods wind up losing her some of her only allies. She lies so much that she finds herself in a “Boy Who Cried Wolf” situation: nobody wants to believe that an Untalented girl might be able to save the capital city from looming calamity, and she’s alienated the only people who might have helped her. 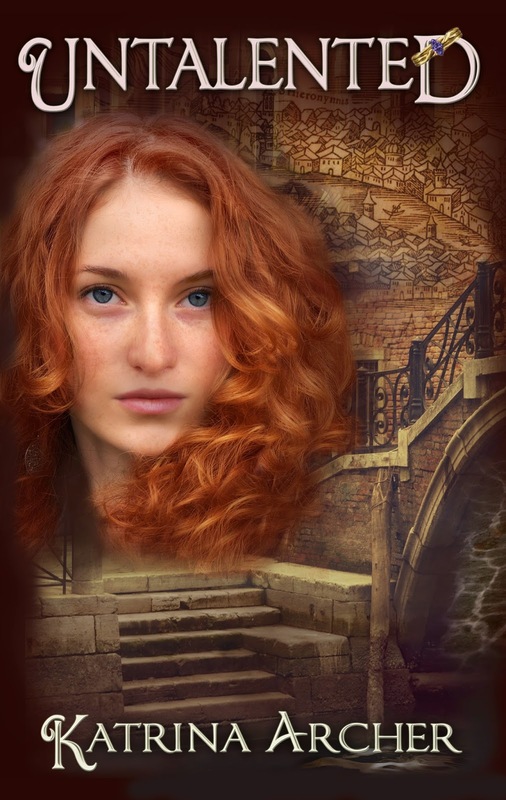 The truth about who Saroya is also has scandalous implications that could bring down the leadership of Veyle, and discovering that truth leads to one of her most difficult choices. Only by being truly honest with herself can Saroya come to terms with who she is and claim her heritage. But by the time she learns that lesson, she’s been squeezed into a corner by the people who will benefit most from preserving their own lies. Because I don’t see things in rigid shades of black and white, Untalented explores some moral grey areas. Being true to yourself and the people you care about always means telling the truth, the whole truth, and nothing but the truth. But sometimes unselfish honesty’s about more than just not lying. Learn more about Katrina Archer at www.katrinaarcher.com. Follower her on Twitter @katrinaarcher. Untalented is available for Kindle and in other editions. 1. ROMANTIC RUCKUS. My LGBT mad-scientist sci-fi romance, "The Love Gun," is included in this collection of crazy tales about every imaginable kind of love gone wrong, published by Strange Musings Press. Buy Romantic Ruckus in both e-book and print editions. 2. 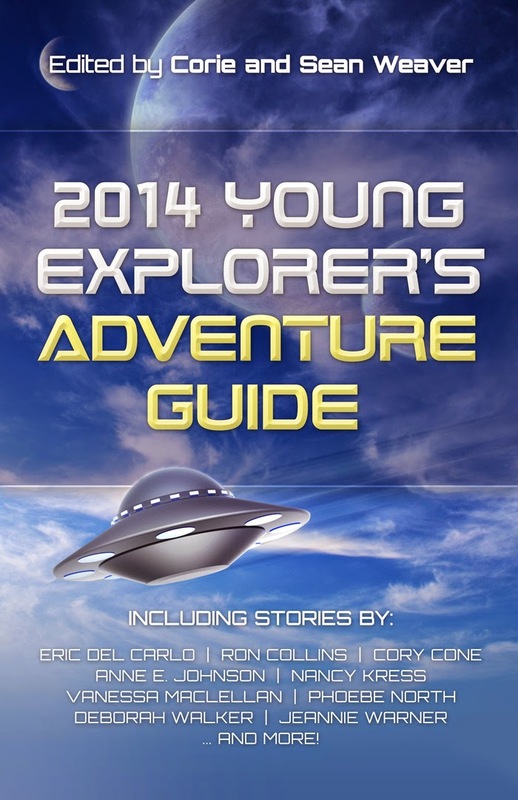 2014 YOUNG EXPLORER'S ADVENTURE GUIDE. I'm particularly pleased to have my middle-grade sci-fi story, "Standing Up," included in this anthology. It's about a differently-abled girl who isn't sure she wants to be normal. Or even human! The team behind Dreaming Robot Press has a wonderful view of the potential for science fiction to open young minds. You can hear about their philosophy and also back this worthy project on their Kickstarter page. 3. FrostFire Worlds, from Alban Lake Publishing, has purchased the third story in my series about the dragon Koob and her human daughter, Akilah. (Want to know how a dragon can have a human daughter? Read the series!) "Song from Silence" will run in the August, 2014 FrostFire Worlds. 4. Prose comics! I can't tell you much about this yet, but it's too awesome not to mention. I've been commissioned to write some novelettes and short stories for adults over the next couple of years. They will be heavily illustrated by an astonishingly talented artist, who is also coming up with the basic concepts and characters from which I will build the stories. Stay tuned!